Quickly accessing all your computer's contents is rather complicated, specially if you have your hard drive full to the brim. That's why making it easier to access your applications, files and folders is something essential, specially when you aren't specially sure of their exact position on the hard drive. 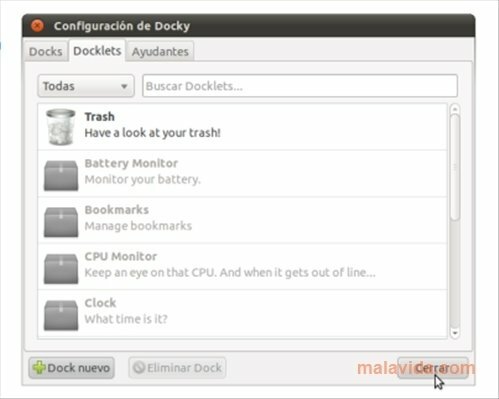 Docky is a toolbar on which you can place shortcuts to all these contents. You can place it at the top or the bottom of the screen, or on either of the sides. The bar, as well as creating an easy access, shows which applications are running at a given moment and the minimized windows that you have, among other options. 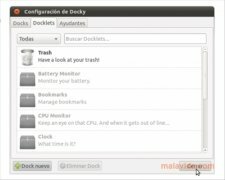 Access your files much quicker thanks to Docky, a shortcut bar for your Linux operating system with which you can locate all kinds of files and applications.